"Blueberries is one of the great forces o'good in the world." Long time no see, huh? I didn't get to draw a lot lately - that means I didn't get myself to do it - and when I did, it was usually for my redbubble shop, and once in a while a little something different, but I just somehow stopped uploading things on dA. Now I want to stop all that stopping. My fursona, ChiaraMarilera, turned all of ten years old a few days ago - what a big lioness she is now! - and I made a small picture for her, and I uploaded on here, which I think is a step in the right direction if I may say so. It's not a great lot, but I like it well enough, and it's something. 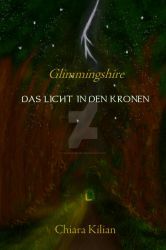 Ich habe ein Buch geschrieben und veröffentlicht. 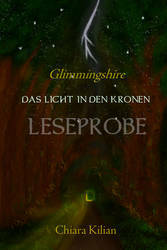 Es heißt Das Licht in den Kronen und ist der erste Band der Reihe Glimmingshire. 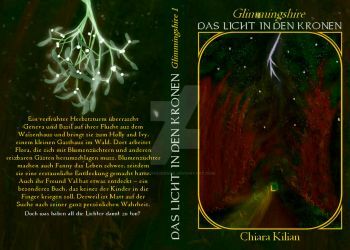 Die hauptsächliche Alterszielgruppe fällt wohl zwischen Kinder- und Jugendbuch - also middle-grade - doch ich persönlich finde, dass es eine Geschichte für Leser jeden Alters ist. Ich habe wirklich alles selbst gemacht und bin da auch wirklich stolz drauf, auch wenn ich mit der Website noch lang nicht fertig bin. Die Geschichte wird aus der Perspektive von sechs unterschiedlichen Kindern erzählt, die alle in Glimmingshire, einer fiktiven südenglischen Grafschaft (am Keltischen Meer, zwischen Cornwall und Devon) leben und im Laufe der Reihe noch so einige Abenteuer erleben werden. Im ersten Band geht es zunächst - natürlich - um Lichter. Das Genre ist Fantasy, jedoch von der - zunächst! - etwas subtileren Art, in eher klassischer Erzähltradition. So, wie ich es eben mag. Good evening, my friends. Thank you for visiting my page and again thank you, in case you have watched me or favourited a deviation of mine. My name is Chiara and I am a writer, though- as you can see - I also love to draw and to make graphics. I love beautiful words and sentences and I am very much focused on language and atmosphere, even though my style can at times be unconventional and not for everyone's taste. I do not like words that don't sound and look beautiful and I do not like negative or condescending words and phrases. I am idealistic and optimistic and don't think goals have to be especially realistic - many great things have happened that would have been considered unrealistic till then. I love all seasons of the year, all times of the day and all kinds of weather and I have strong feelings connected to all of them. I love what people call "good weather". I love what people call "bad weather". I love nice sounds and smells. I enjoy reading novels and poetry and books with pictures and books about real things. I enjoy to listen to music from today and from the past, fast and slow, gentle and energetic. I love to draw and paint pictures and I love to look at pictures other people have drawn or painted, no matter if famous or not. I like to play with real things, things I imagine and games. I especially love to write, as I have already mentioned. I love to be outside and I love spending time with animals and in nature. I love to feel atmospheres I cannot describe. All that in no particular order. I have a strong faith, strong views and strong ethics. I love art of various kinds. Informiere uns bitte solltest du für die Gruppe Verbesserungsvorschläge, Ideen oder ähnliches haben. Das mach ich sehr gern Ist ja toll, dass so etwas möglich ist!